Irreecha Birraa 2017 irreeffachuun itti fufee jira. Akkuma kanaan Sadaasa 26 Bara 2017 Malkaa Soorii, Koodoo, Mattuu fii Malkaa Caffee Bookaatti haala miidhagaan irreeffatamee oole. Irreechi Malkaa Soorii, Iluu Abbaa Booraa, Lixa Oromiyaatti haala ho’aan bakka namni kumaataman irratti qooda fudhaterratti nagaan irreeffatameera. Haaluma walffakkaatuun guyyuma kana Irreechi Malkaa Caffee Bookaa, Aanaa Abee Dongoroo, Horroo Guguruu Wallaggatti kabajameera. Dabalataaf as tuqaa illaalaa, Irreecha 2017, Horroo Guduruu Wallaggaa, Aanaa Abee Dongoroo, Malkaa Caffee Bookaa. 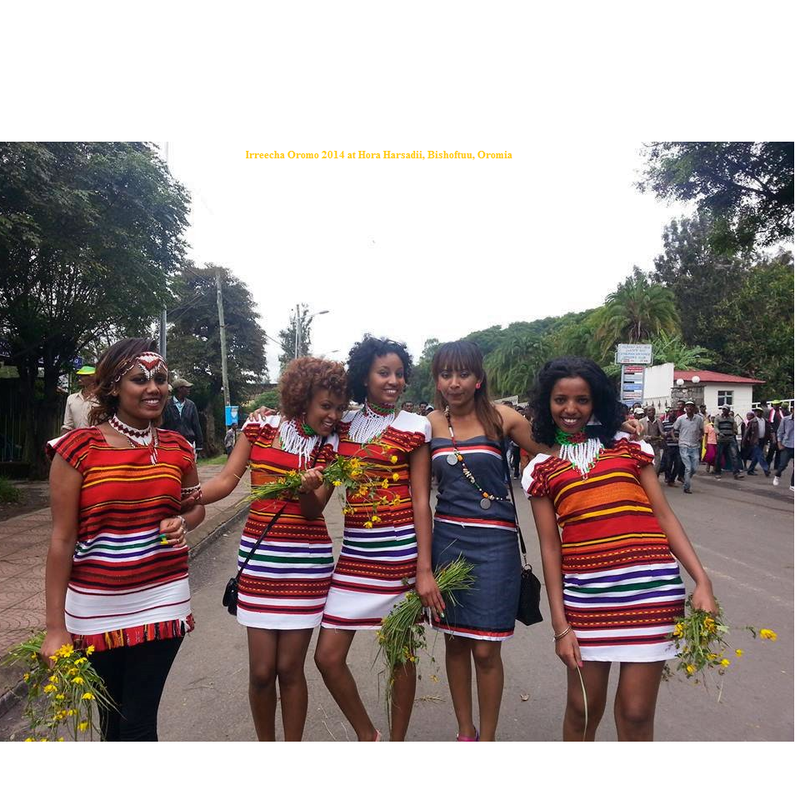 Posted by OromianEconomist in Irreecha Birraa, Irreecha Oromo, Irreessa, Uncategorized. 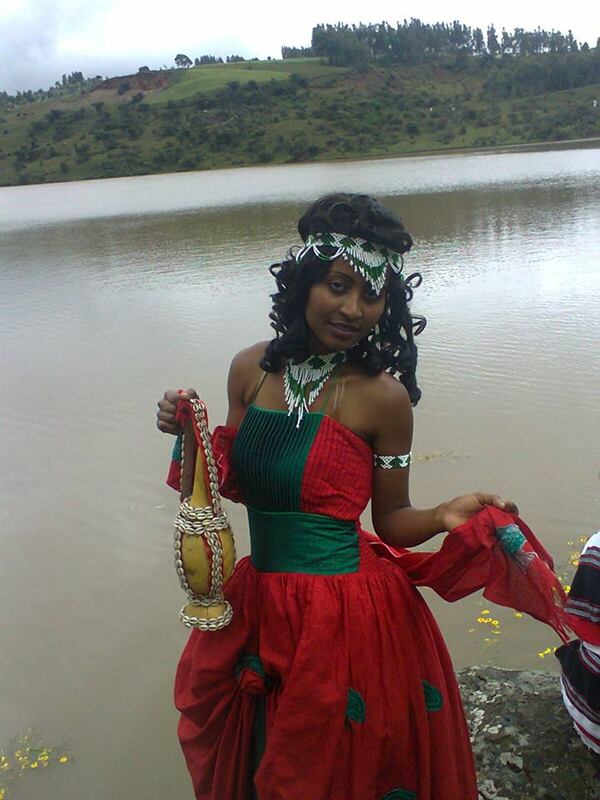 It was not only the ancient Egyptians or the Oromos who had creation stories in relation to water. In the Japanese telling stories, we find water holding the core of the dawn of creation. First, there was an ocean, out of which the many Japanese Islands were believed to have been created. There was a god known as Izanagi and a goddess Izanami. The gods, as a couple, had three children, of whom the grandson of the Sun Goddess had become the first Emperor of Japan, Nippon, as known to the native population. The gods used a long spear and stirred up mud at the bottom of the ocean. It was out of the stirred up mud those more than 6000 Japanese islands were believed to have been created. On the eastern side, out of the glittering Pacific Ocean, the sun rose every morning. It was the cherished sun’s rays which had a big role in illumining, nourishing, and bringing up the Japanese archipelagos to life. This is the Japanese thought of their land, Mount Fuji being the most beautiful and sacred one. For the Japanese, Japan has not only been their country. Japan has been their world and their religion. The creation story the people share in common and the passionate love they have for their country has continued to make up the coherent faith of their oneness. And, out of the cherished mythology, they have undoubtedly benefited enormous groundwork principles for their social and technological advancement we are witnessing today. When we come to the antique Scandinavians of northern Europe, we find similar watery creation stories. In the beginning there was an abyss filled with water. The water froze; and lastly melted down. Out of the melted water, a giant being of human form called Ymir emerged. Thereafter, a man and woman were created out of Ymir’s armpits. In short, this was the beginning of ancient Scandinavian telling stories about the myth of human creation. 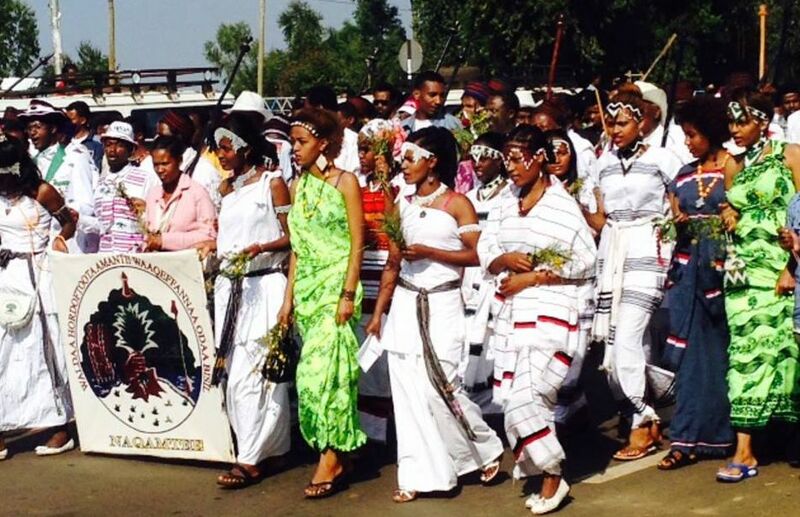 The Oromo myth of creation holds the view that water being the source of androgynous being. 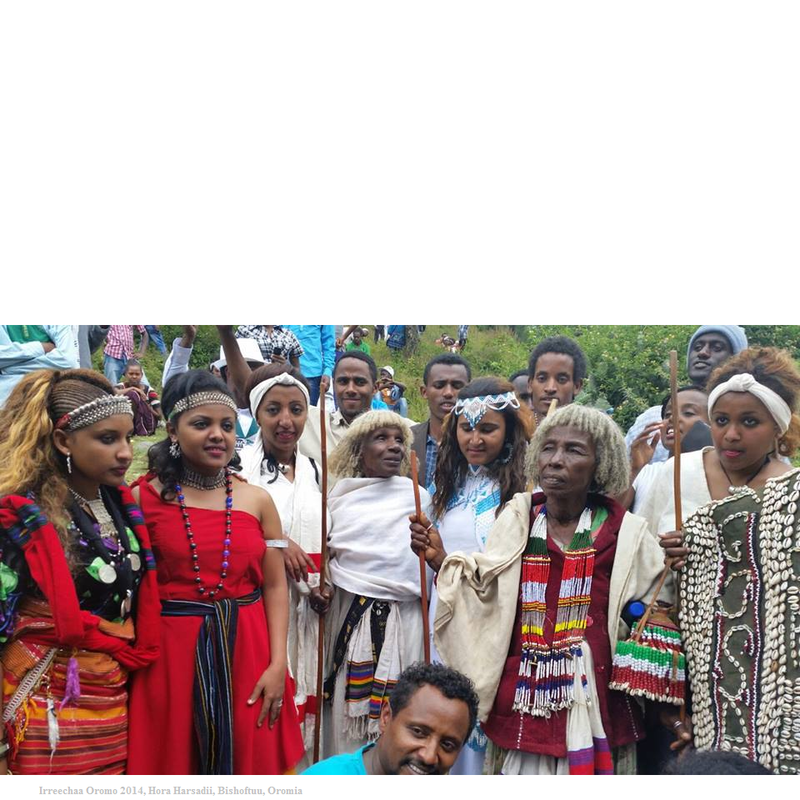 According to Oromo narration story, by the unfathomable wisdom of Waaqa Gurraacha, the androgyny was divided in to two parts and became male and female. After the division, the two opposite sexes began to live separately on the either side of the river. Though they were able to see each other across the river, they were hampered from joining each other by the overflow of the river. When the river subsided and sank down into its course, during the flowering season, they were able to cross the river and embraced each other. 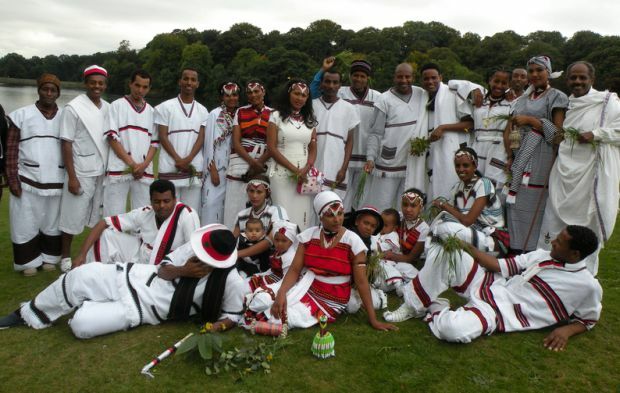 Here was the point, during the flowering season, according to Oromo belief, when the first gaa’ila (engagement for marriage) started to blossom. 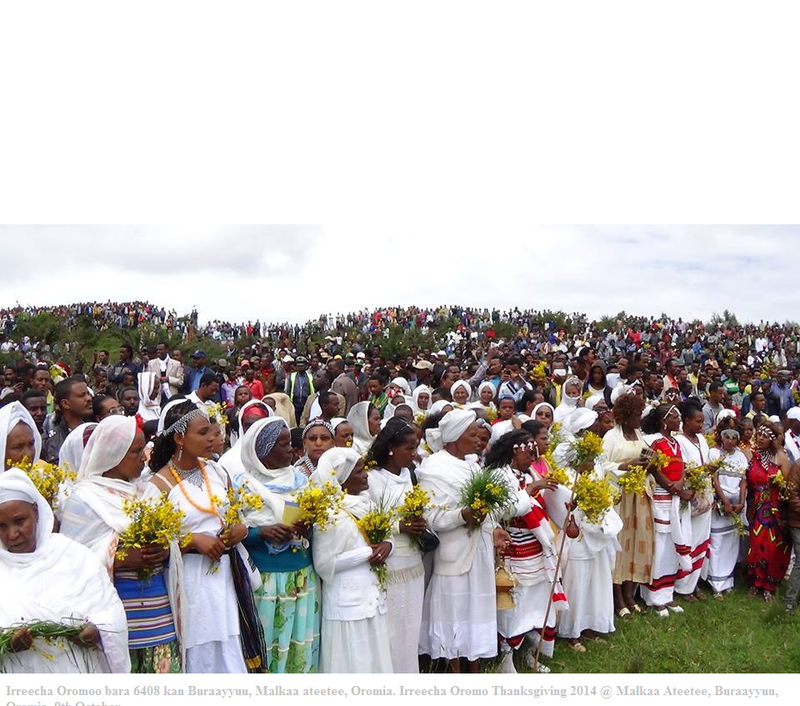 Many of us may remember when newly married Oromo couples were coming to Irreecha at Hora Harsadii, enforced by nobody but only inspired by the tradition to get the blessings of the hayyuus and Abbaa Gadaas. 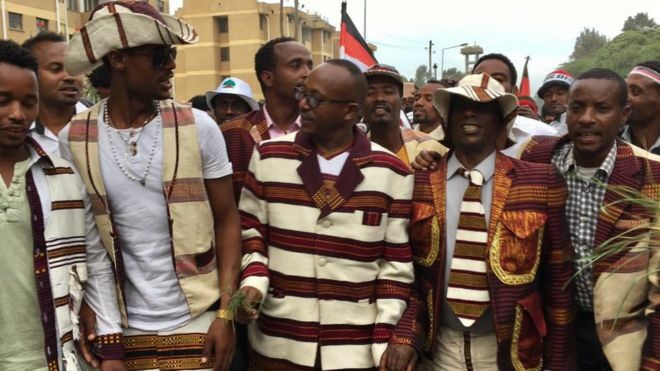 But that was not performed on October 2, 2016 because of the heinous massacre carried out by the incumbent Ethiopian regime that disrupted the whole process of the ceremony. 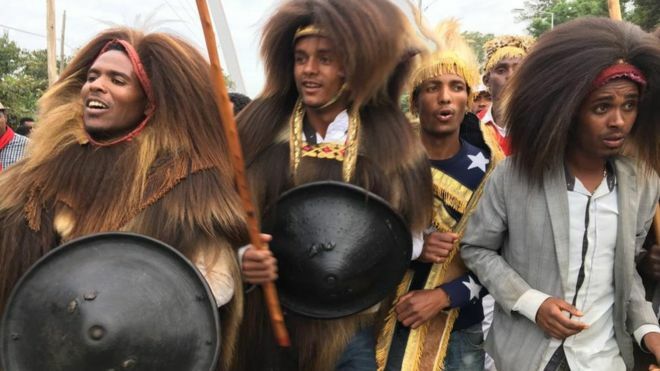 Having this entire narrative story in mind, defending and combatting all challenging obstacles and heinous crimes imposed on them, the Oromos have continued to celebrate their yearly thanksgiving Irreecha festival, dressing beautiful national costumes suited for the occasion. 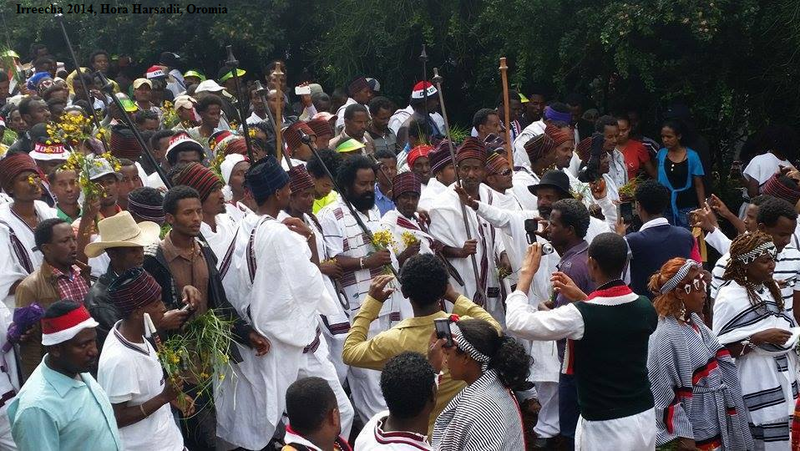 Today, at national level, millions of Oromos are celebrating Irreecha Birraa, on the side of Hora Harsadii in Bishooftuu town. 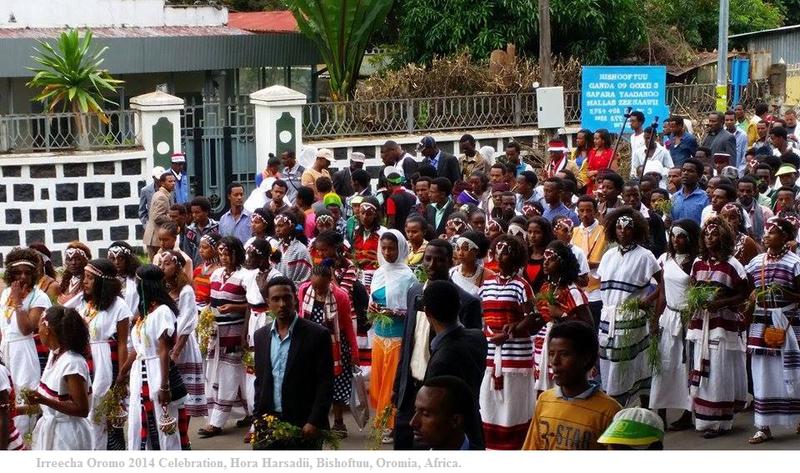 At national or local levels, there are traditionally agreed upon norms that govern the whole process of the ceremony from the beginning to the end, which is deeply rooted in the strongly and humanely established Oromo views for peace, love, prosperity, and human dignity. 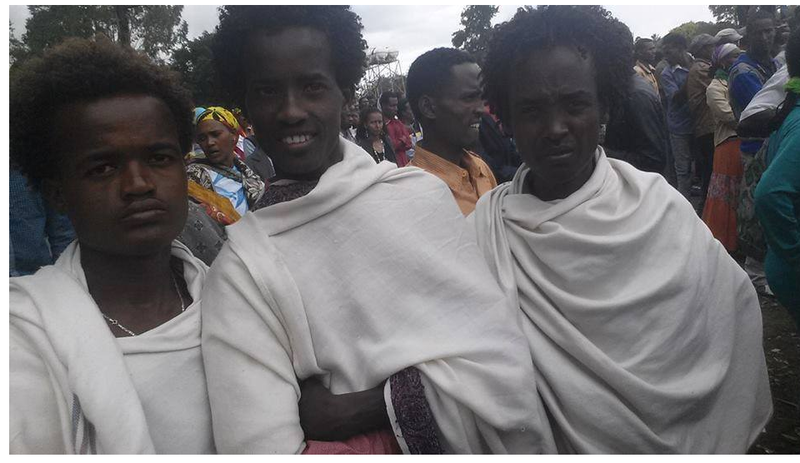 Based on Oromo clans’ successive generation by birth, there are individuals who offer blessings first, second, and so on. 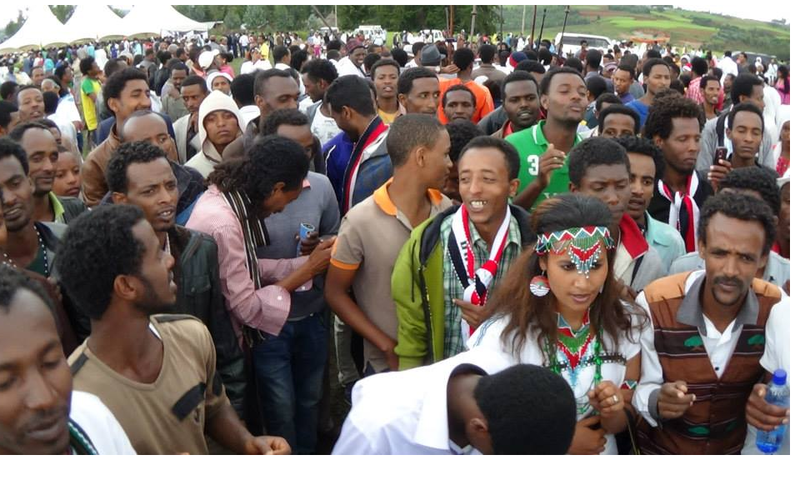 This is dually (angafaa fi qixisuu) restructured in Oromo kinship organisations whose function of check and balance has become basic foundation for the indigenous Gadaa Oromo Democracy to flourish. 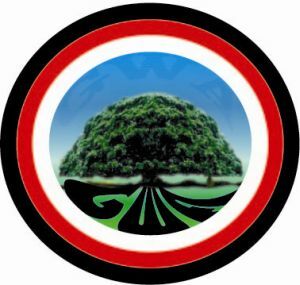 The ceremony commences first by offering thanks and greeneries to Waaqa, followed by blessing all creatures of Waaqa to be at peace with each other. 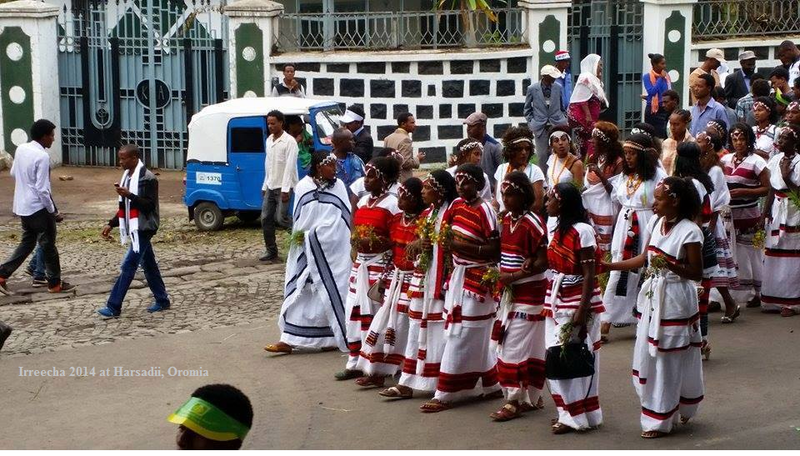 They also give admiration and honour to Waaqa’s wisdom who gave them a perfect bliss of land with abundant natural resources. 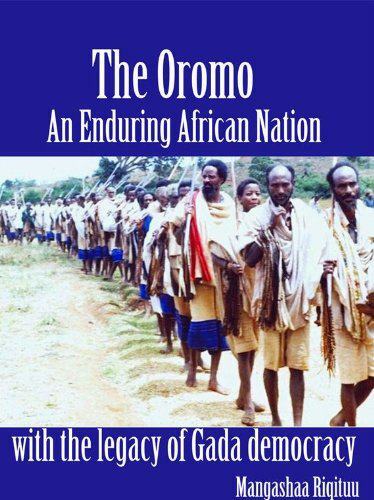 This is one of the inherent reasons why the Oromos are cherishing their ancestral homeland, Oromiyaa (Biyya Oromoo) as part of their natural right, be it in peace or war times. In the case of Irreecha Birraa, it is the Abbaa Malkaa who ‘opens the door’ of the malkaa (river) by charmingly welcoming those who arrived at the site in peace. 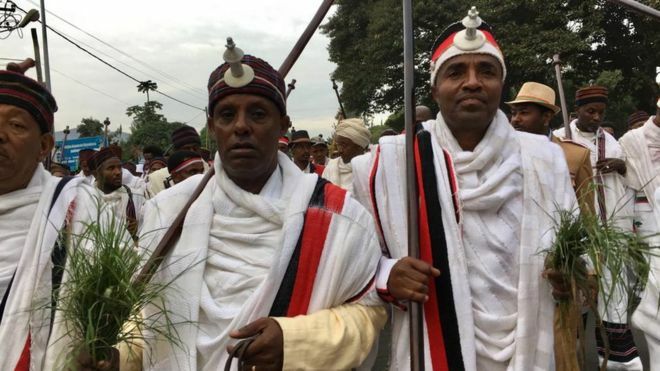 Those distinguished hayyuus from senior and junior clans (mana angafaa fi qixisuu) and the Abbaa Gadaa from the incumbent Gadaa party are traditionally honoured to take leading positions in giving thanks and blessings to all. 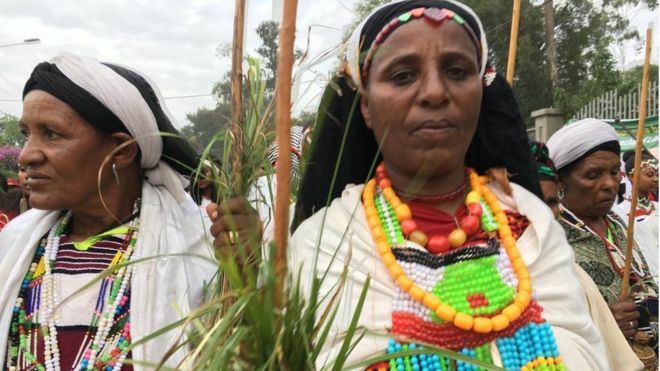 Even the Ayyaantu-Qaalluus, who are believed to be the guardians of the laws of Waaqa and the custodians of Oromo traditional religion, have no seniority right to claim either to take the leading position or to give blessings first. They have their own defined time and place to do so. Failure to honestly follow those agreed upon traditional charter, could lead to chaos and eventually to the disintegration of the society. 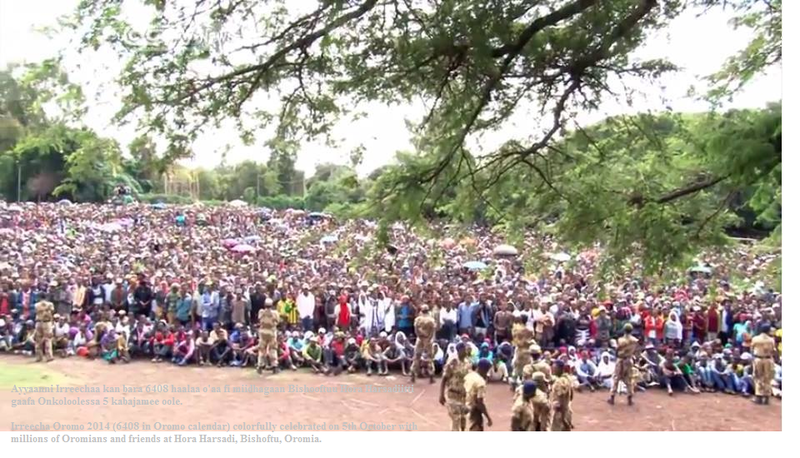 Nevertheless, despite so many apartheid walls erected among Oromo regions by builders of the imperial palace of political Ethiopia (in contradiction to historical Ethiopia), the Oromos are not able to be divided by the walls. They are chiselling down the walls and are patiently moving forward in unison. 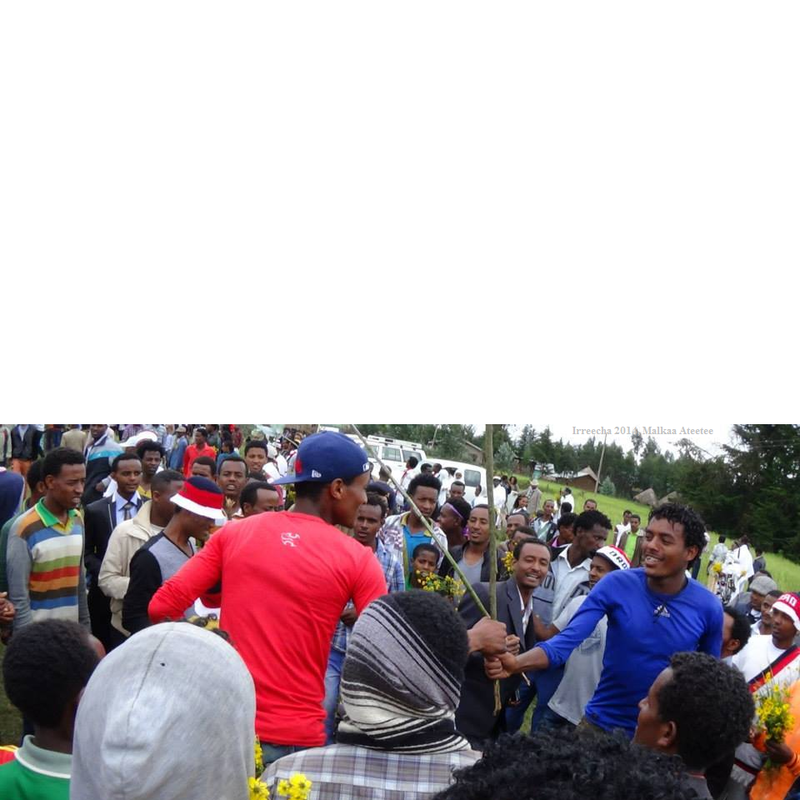 As common to any Oromo meetings or conferences, thanking Waaqa and blessing each other precede the opening of the agenda of the meetings. 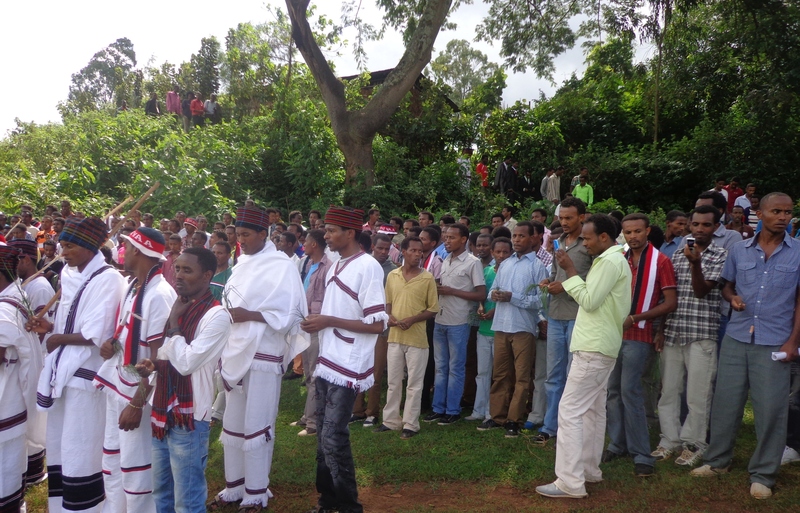 There is no exception for the thanksgiving Oromo new year celebration, Irreecha. 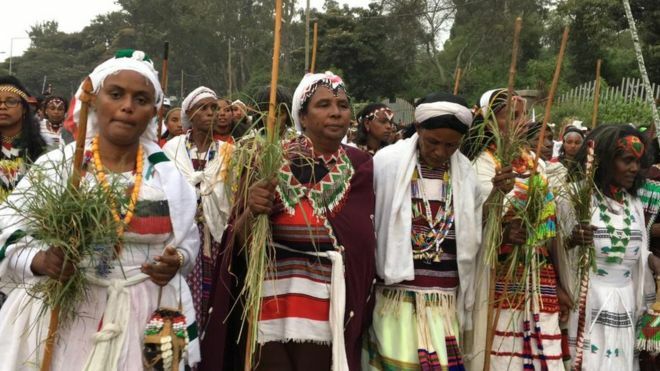 Since the Oromo name of Waaqa is the centre of Oromo Natural Religion, the solemn invocation of Waaqa at Irreecha or elsewhere cannot be avoided. 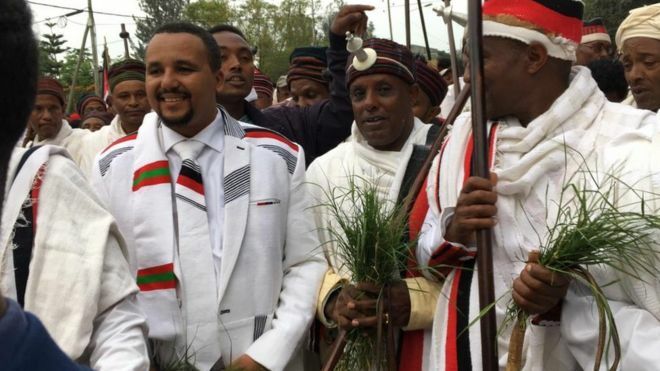 This is the core issue, the authenticity of Oromo natural religion and Oromo morality that seem to have scared general managers of ‘Revelation Industries’ and their sponsors in Oromia. 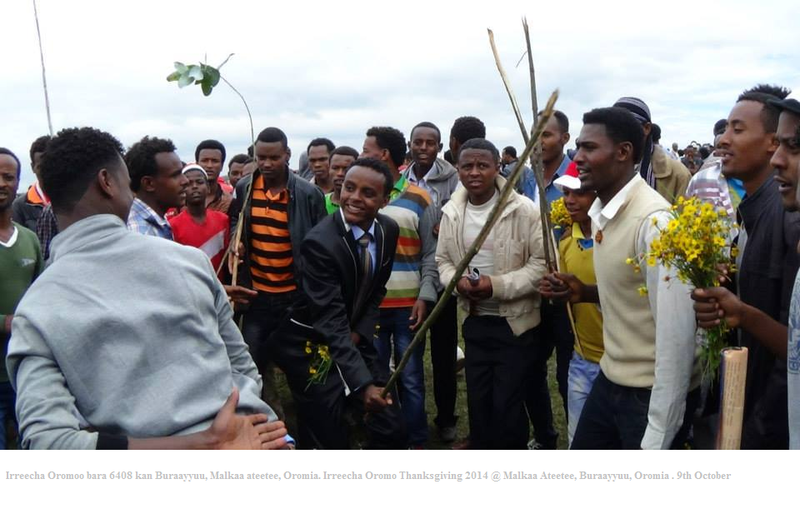 They are prompted to develop phobic images against essential Oromo values: vilifying, desecrating, defaming, and bedevilling Oromo material and spiritual assets as a whole. Why? The answer is so unilineal, not parallel. 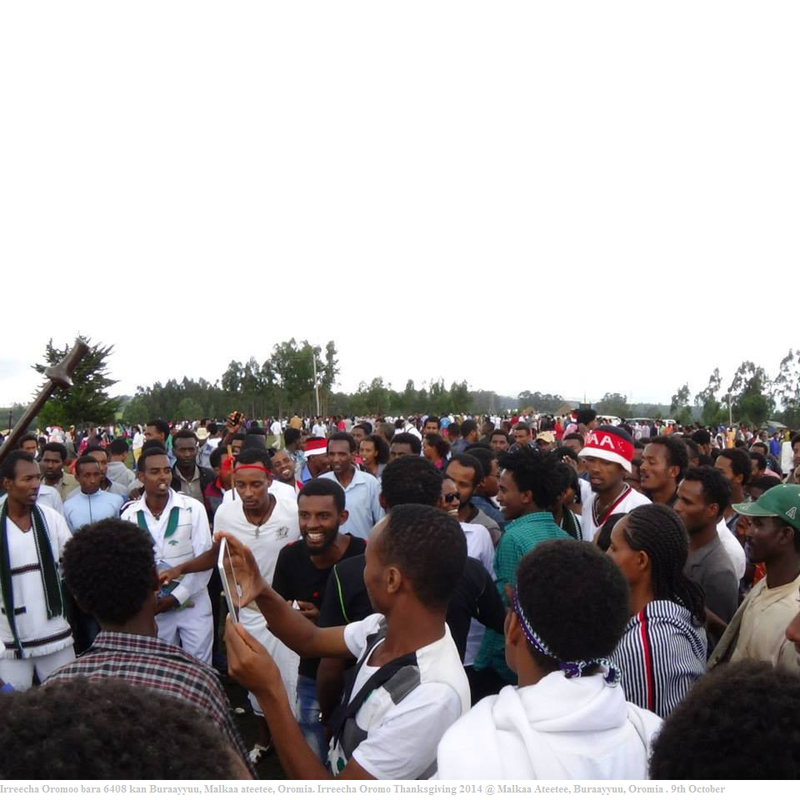 Irreecha has been one of the major Oromo events that distinguishes, makes, and marks the identity of an Oromo personality as a member of the nation. 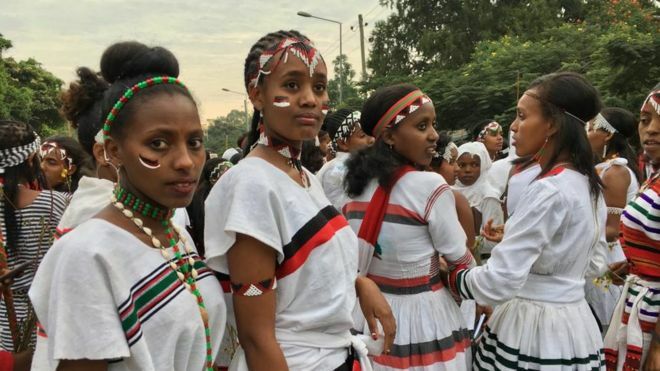 It is a social festival that praises Waaqa who helped them come together in peace and embrace the incoming bright-sunny season. 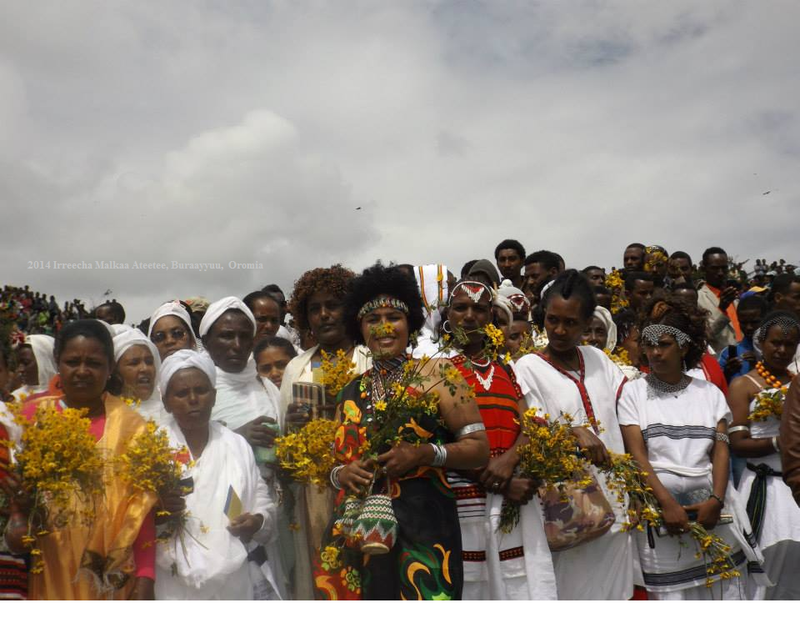 It is a social festival that sees off the out-going rainy season, wishing its recurrent appearance in peace, happiness, abundance, fertility, equality, fraternity and a hope for victory against all forms of evils. 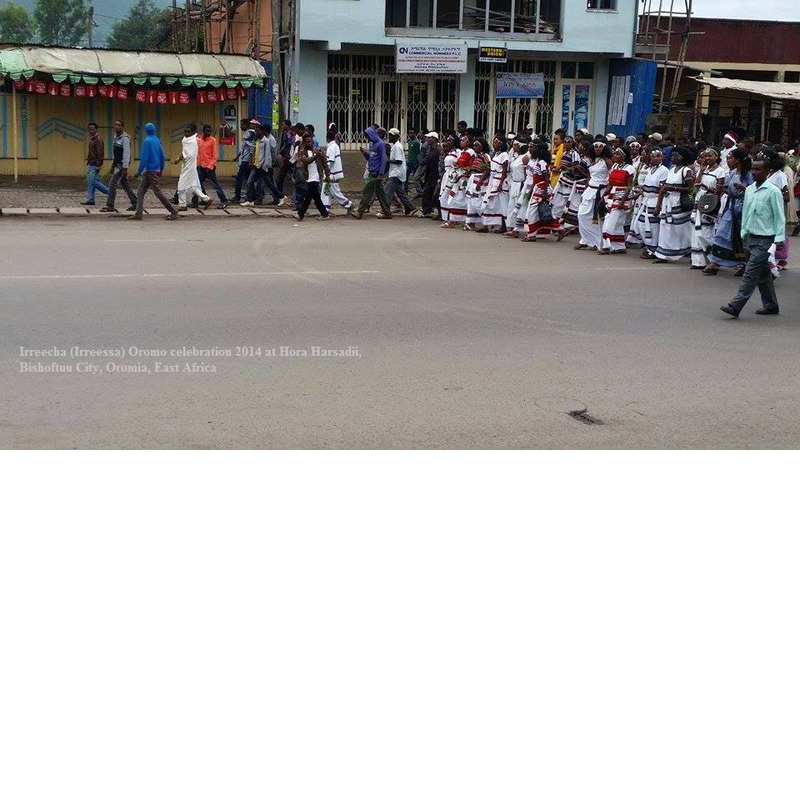 But, as has obviously been duplicated by foreign media outlets, particularly after the Irreecha massacre of October 2, 2016, there is a clear tendency to look on Irreecha as a ‘religious festival’. 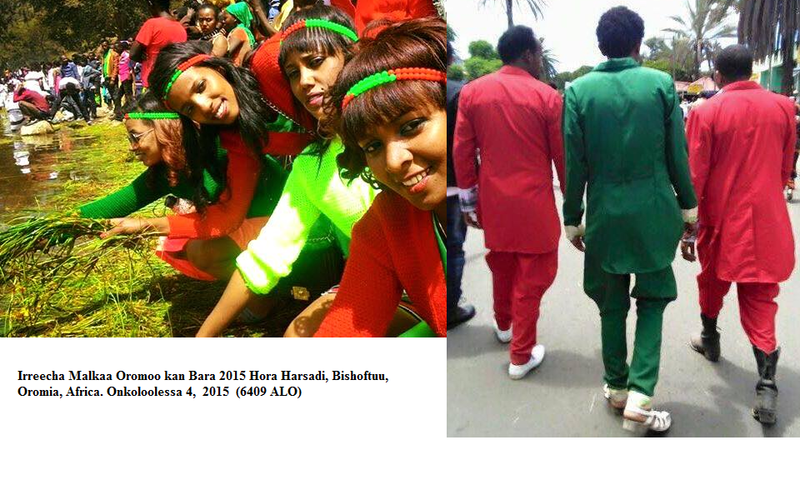 It is quite villainous and sinisterial to depict the general Oromo sense of Oromo-self only from a single perspective. 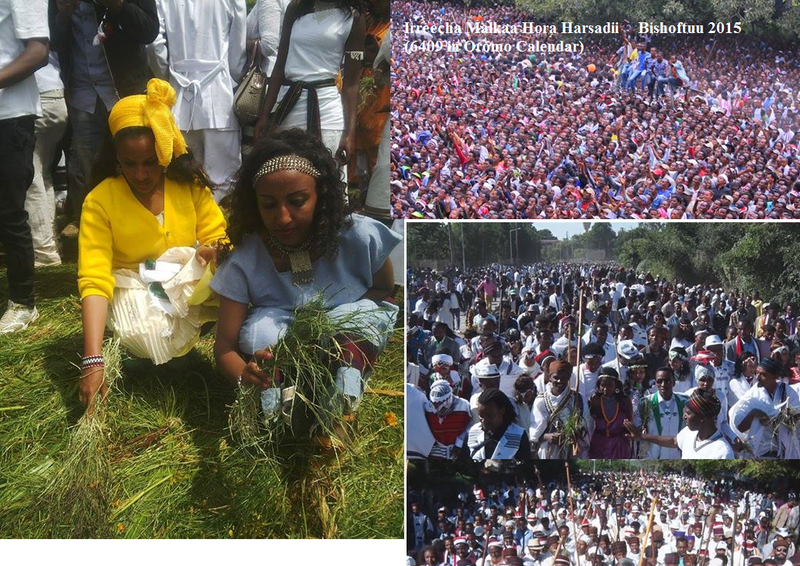 Is Habasha’s Inkutatash not Qiddus Yohannes’ religious celebration or is it a new year festival? 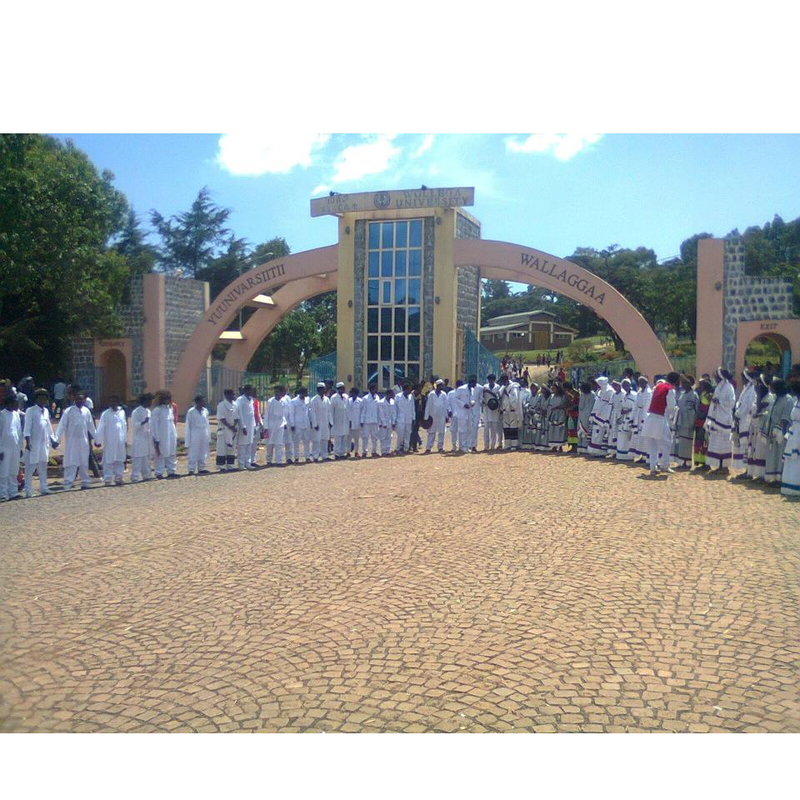 Is Tigrian’s Ashanda the worshipping of Churches of Saints or season greetings? Is European Christmas the celebration of Christ’s birth day, or is it the continuation of pre-Christianity European culture of winter solstice celebration? We do not understand whether such inconsiderate propaganda is really a reflection from a fully-developed human brain or is it a proxy psychological war sponsored by the monstrous Satan. 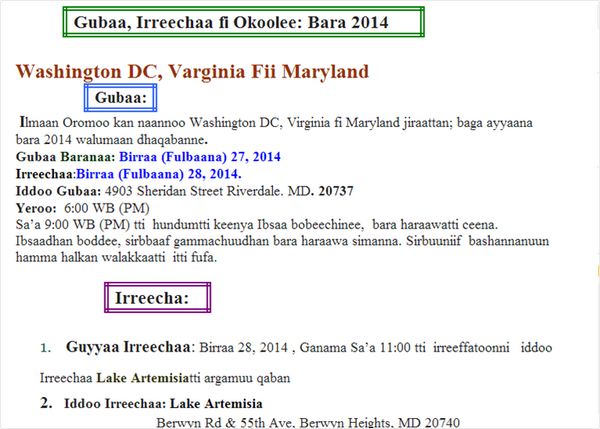 If one wants to talk or know about Oromo religion, it is called Waaqeffanna, not Irreecha. Where is the self-organised Waaqeffannaa religion right now? 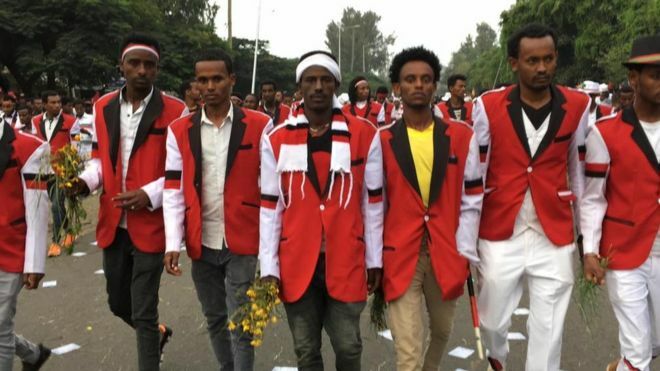 One may ask the Tigrian Ethiopian regime, sitting in Minilk’s imperial palace; muddling the peoples of that empire, sponsoring divisive and xenophobic people like Suraphel Demise. Waaqeffannaa by its natural origin, contrary to revelationists’ assertions who claimed to have seen visions and heard voices, is neither a claimed vision nor claimed heard voices. Had it been a claimed vision or claimed voices, it could have been dwelling on narrating about a place of everlasting torture or about a place of eternal delight in the afterlife. In the narrative story telling of Waaqeffannaa there were no individuals who did claim any visions or heard voices for its establishment as a religious institution. 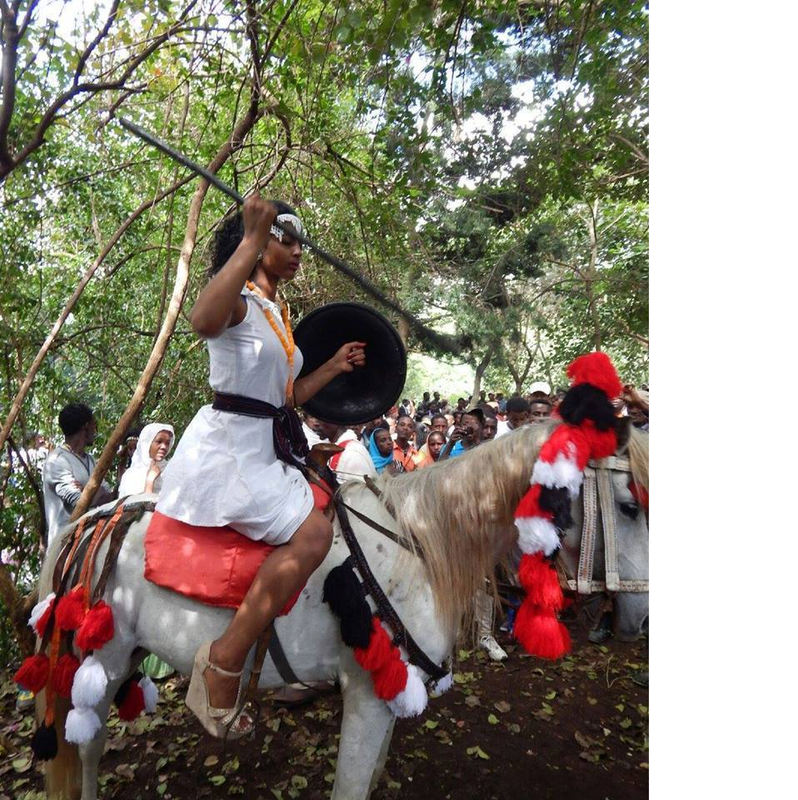 It emerged naturally out of the organised Oromo people’s activities in the remote antiquity. 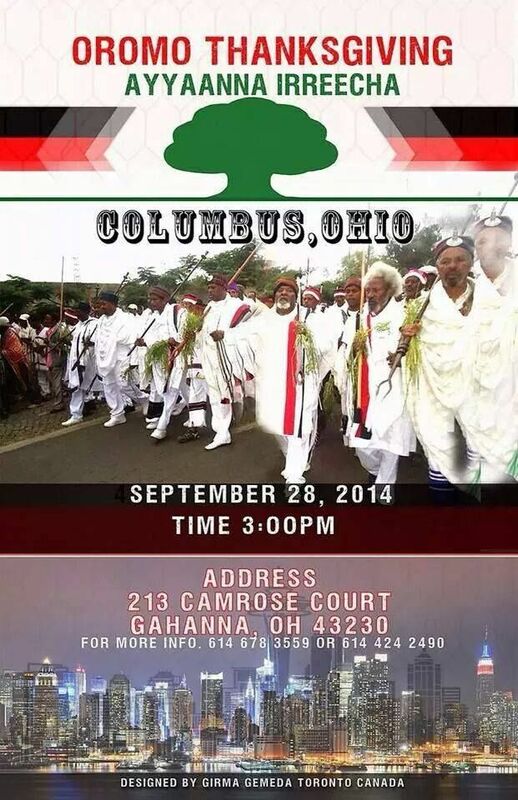 Henceforth, Waaqeffannaa, as a natural religion, has become the common vision of Oromo people’s common mind. It is free from claiming any received information of the afterlife, be it from the chamber of the sinners or from the chamber of the pious. 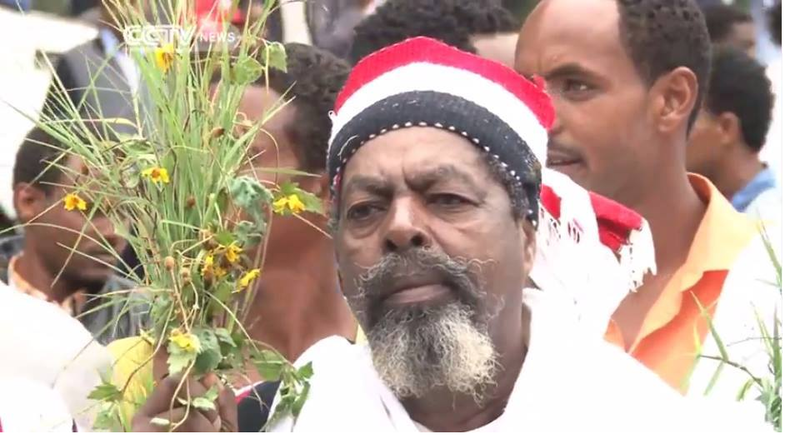 However, Waaqeffannaa may wonder or speculate what could be happening beyond the veil of a man’s soul (lubbuu) after his dead body was ceremonially buried. Revealed religions claimed and are still claiming that they had unveiled the veil, saw the souls, and heard their voices from chambers of the ‘hell and heaven’. 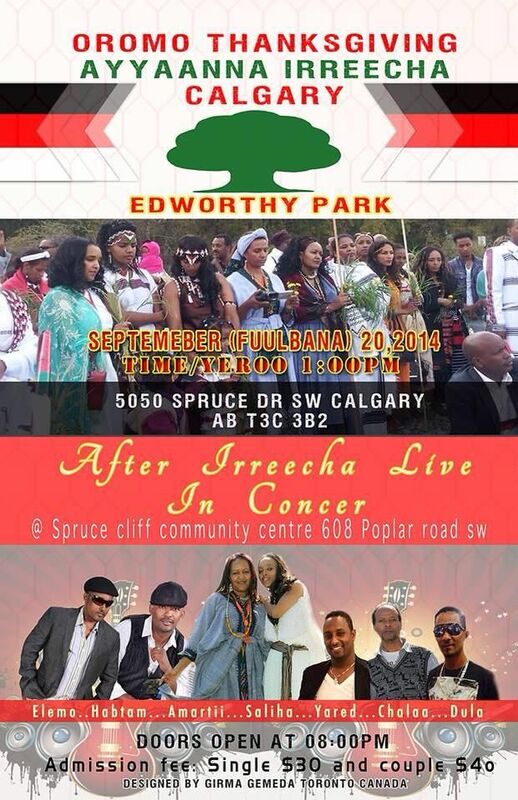 In its strictest sense, Irreecha is not a religious institution. 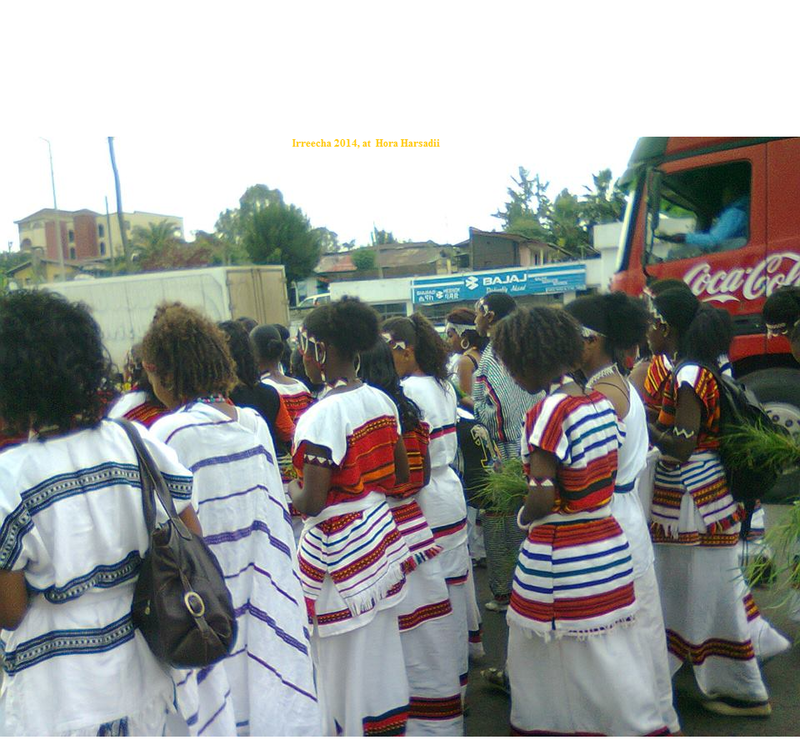 It is a ritualised social event; certainly, adorned and accompanied by Oromo Natural Religion known as Waaqeffannaa. 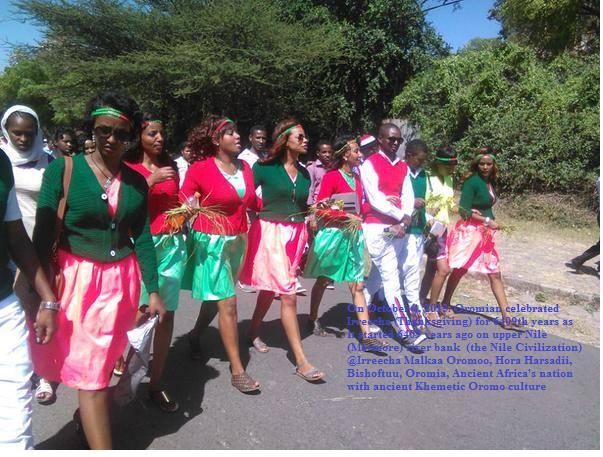 Waaqeffannaa and Irreecha have been with the Oromos, by the Oromos, and for the Oromos since the dawn of creation long before the conception of revealed religions. 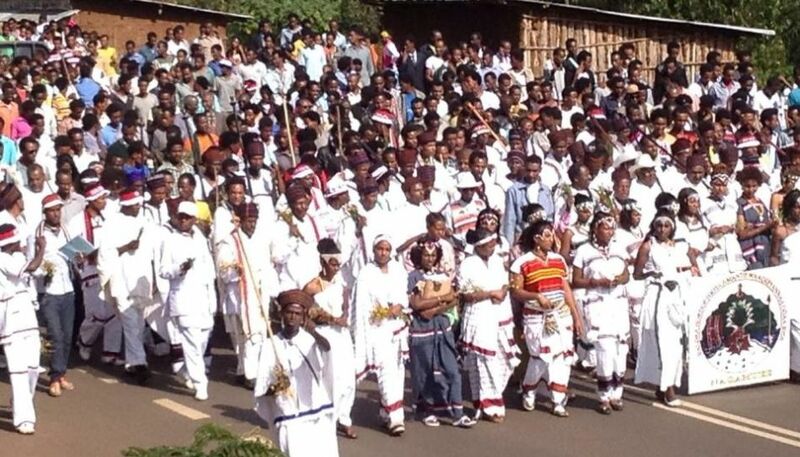 An attempt to ban the Irreecha festival started the time when Oromos lost their sovereign rights to Abyssinian firearms under the supreme commandship of King Minilk of Shewa. 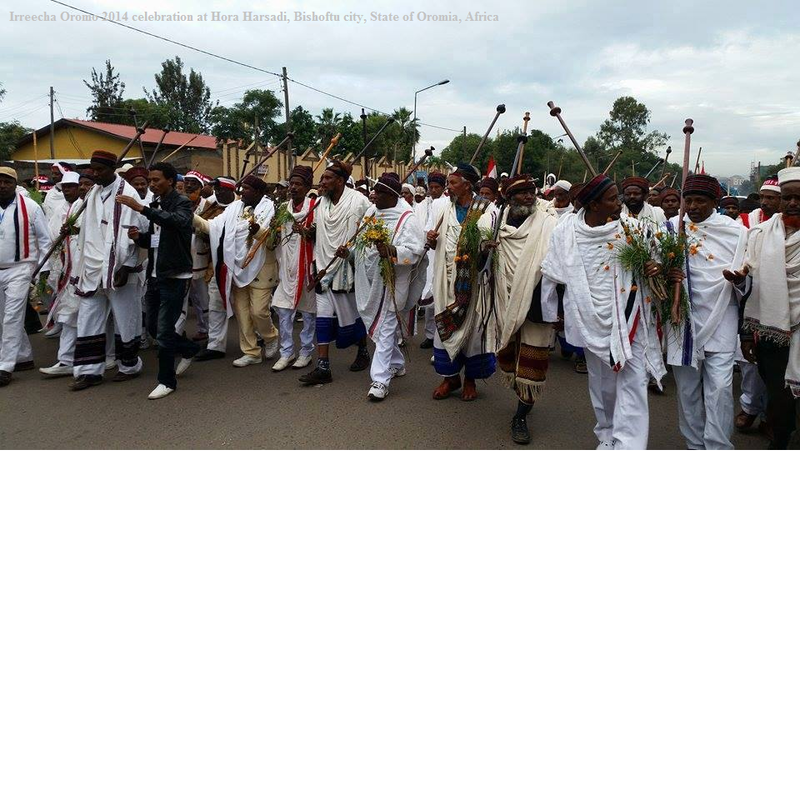 After the Tigrian-led Ethiopian regime took the imperial palace by force in 1991, the orchestration to ban the Irreecha ceremony was concluded. This time, the regime took the first apartheid action by banning the revived Matcha-Tulama Self-Help Association and the freely organised Waaqeffaanaa religious association. 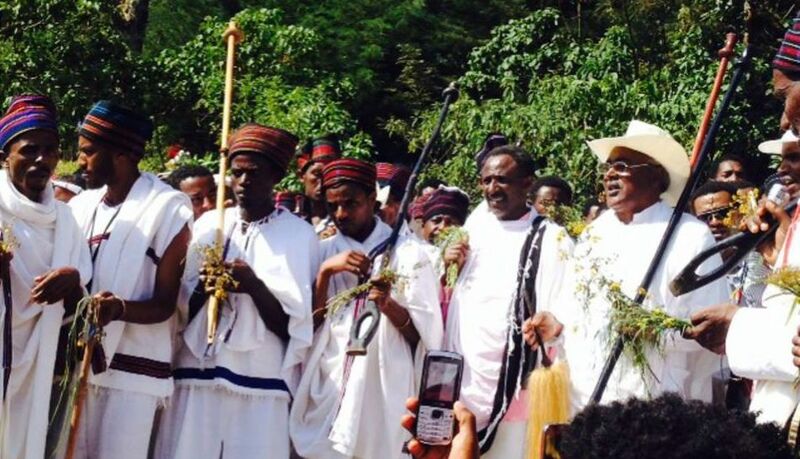 Instead of directly banning Irreecha, however, like Matcha-Tulama and Waaqeffanaa, the regime renewed the old Nugus-Orthodox tactics of hijacking anything good of the Oromos and good for the Oromos. 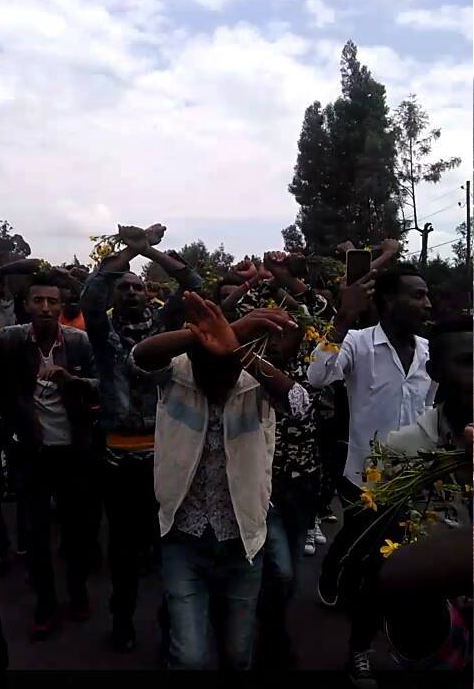 A delegate led by Abba Duulaa Gammadaa, the then president of ‘Oromia Regional State’ was despatched to Hora Harsadii to hijack Irreecha. The delegate failed to accomplish the mission it intended to seal and returned to the palace in dismay. Here was planted the seed of the evil action that took thousands of innocent lives on October 2, 2016 at Hora Harsadii, Bishooftuu. 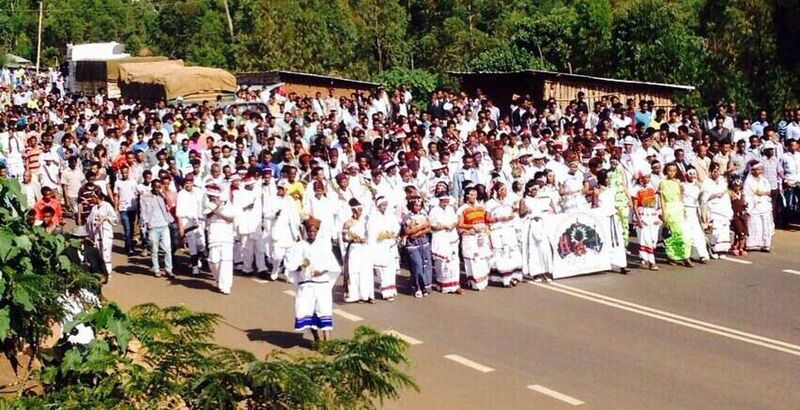 The Oromos have tried to do everything positive for Ethiopia. But why are they being reciprocated with negativity for their positive generosity? 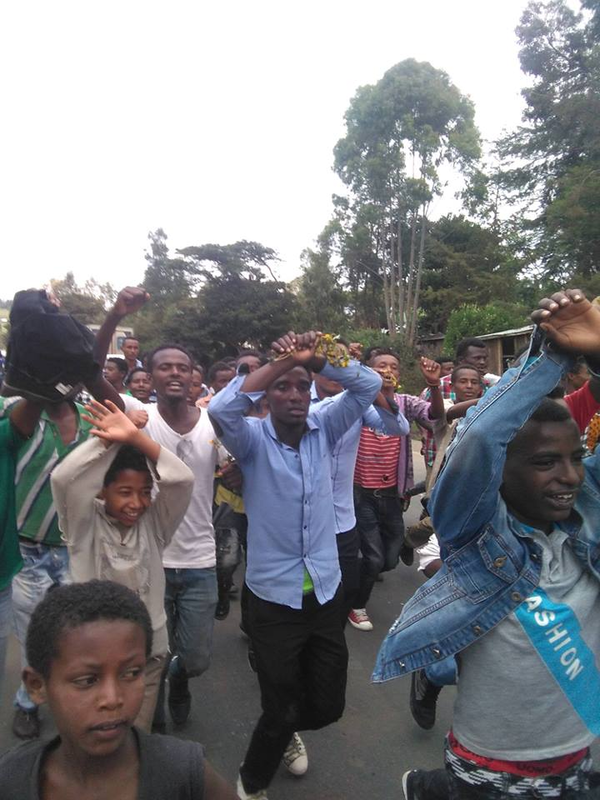 When the Oromos are coming out for peace, those who are making huge business in the name of “Ethiopia” are incessantly confronting them with vibrant forms of violence, persecution and marginalisation. 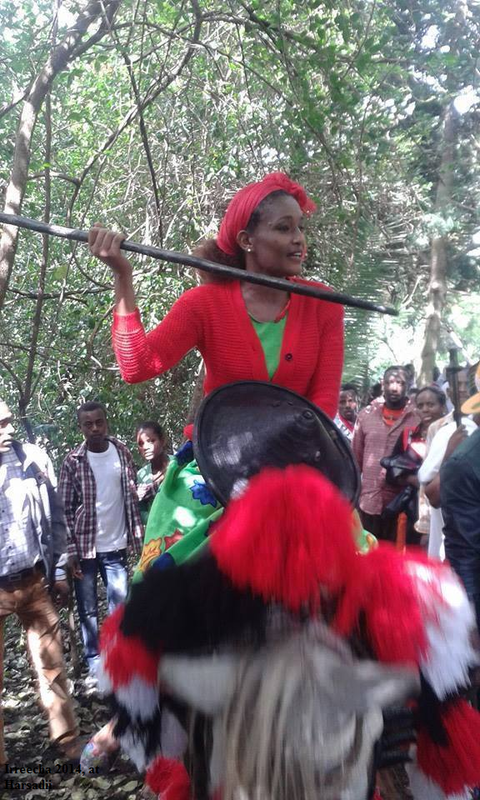 In former days, before Oromo country and their central holy site, Walaabu, had fallen to naftenya’s bayonet, Oromo generations in every Oromo clan were making pilgrimage to Walaabu. 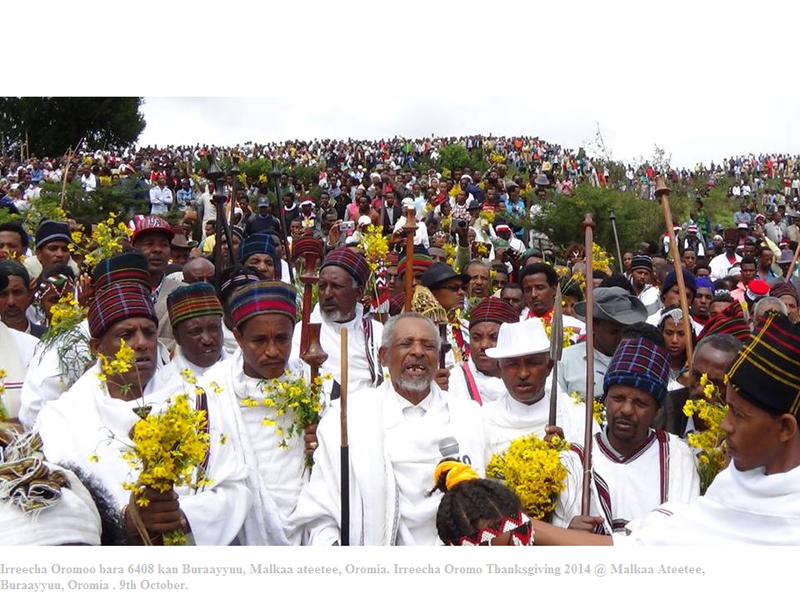 The purpose of the journey was more of religious, that they sought the anointment and blessings of Abbaa Muudaa, who was believed to be the eldest son of Oromo [Orma], the Spiritual Father of the nation holding the centre of Oromo Natural Religion, the belief in Waaqa Tokkicha. This inhumane and erratic ideology will get nowhere. 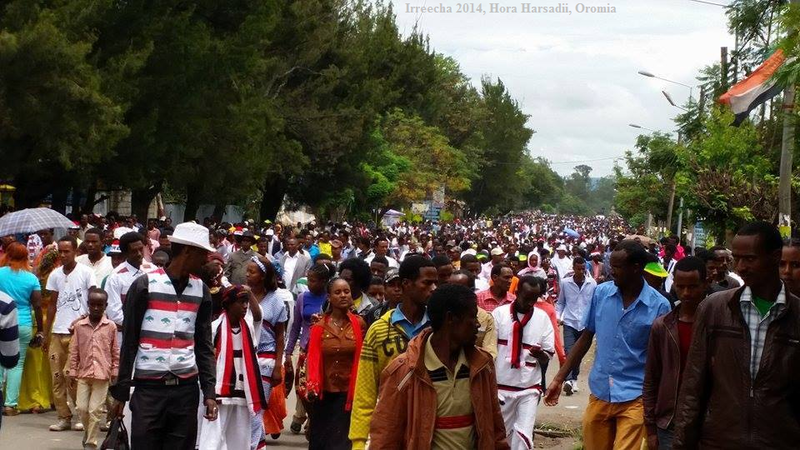 It is now far from halting down Oromo people’s aspiration for regaining their lost freedom. 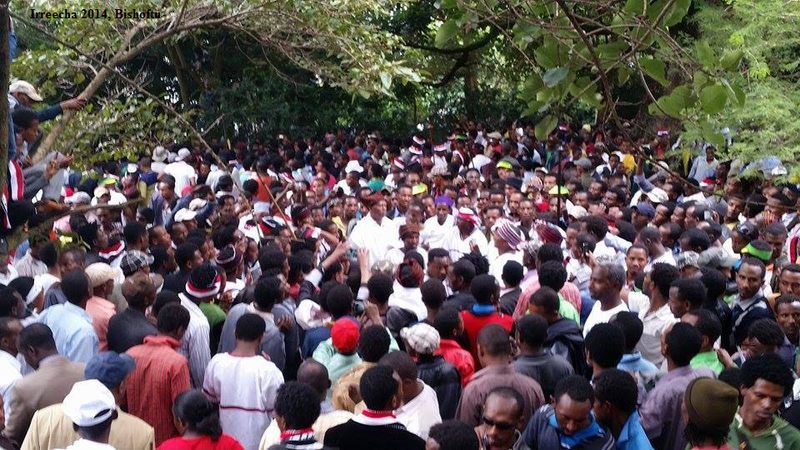 We, including those in ati-Oromo camps, are daily watching and witnessing the reality on the ground. 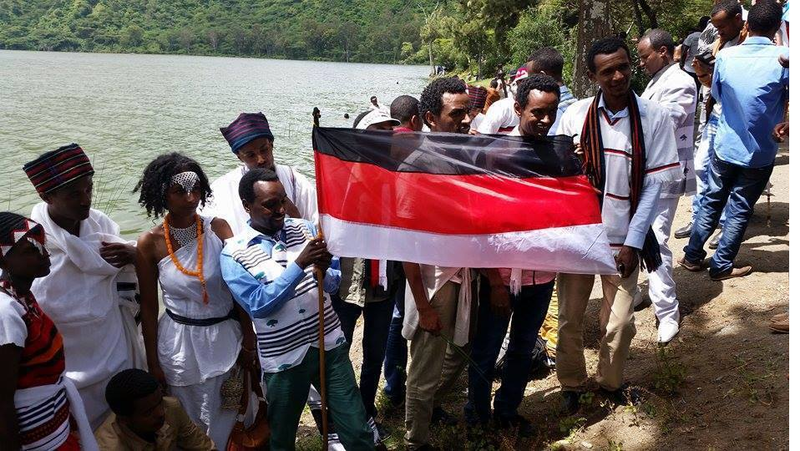 The more direct wars and propaganda campaigns are pouring on the Oromos, the more their heroisms are reinvigorated. 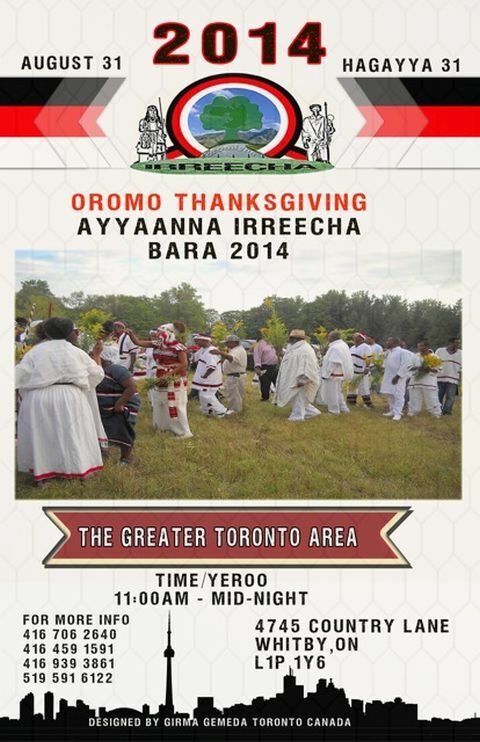 Irreecha will continue to march forward with its noble objectives of thanksgiving social festivities: vitalising, remaking, and remarking Oromummaa (Oromo-ness). Ummanni magaalaa Giincii Ayyaana Irreecha Birraa kan Bara 2016 ( 6410 ALO) Malkaa Awaashitti haala kanaan Fulbaana 28 bara 2016 kabajatanii oolan. ‘Diina nu dhaanu rabbii nurraa haa dhaanu’, jedhan. 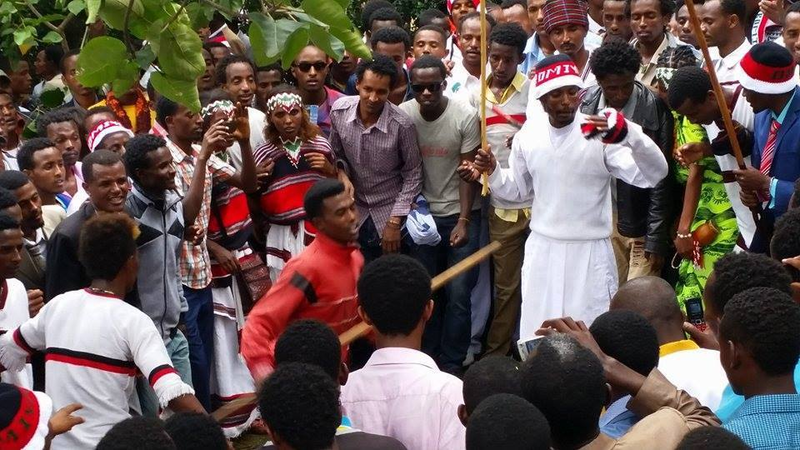 Posted by OromianEconomist in Irreecha Birraa, Irreecha Oromo, Irreessa. 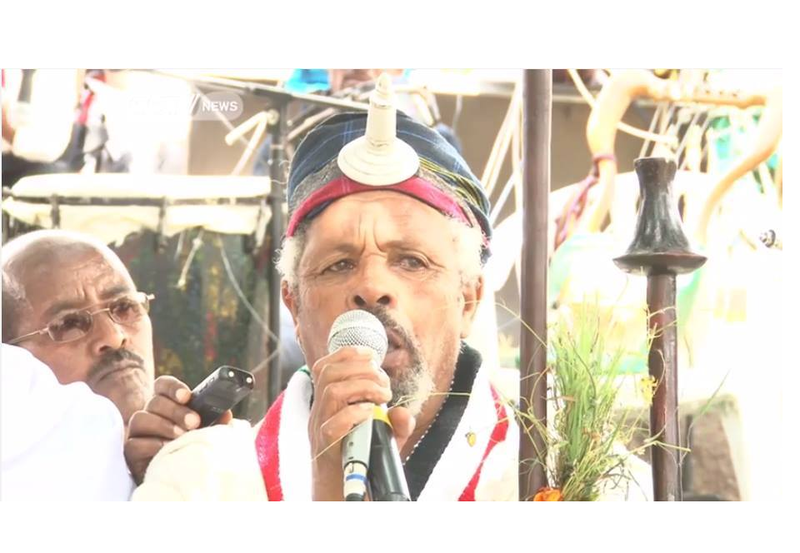 Ayyaanni Irreechaa kabajamaa fi jaalatamaan uummata Oromoo miliiyoona kudhanootaan kan kabajamu bu’aa qabsoo bilisummaa Oromoo wareegama qaalii lafee gootota Oromoo fi dhiiga gootota Oromoon tikfamee hardha ga’ee , yeroo ammaa kanattis ayyaana Irreechaa fi aadaa Oromoo kunuunsanii tiksuun dhalootaaf dabarsuuf gootonni Oromoo wareeegama qaalii itti baasaa jiru. Baroota darban keessa ayyaana Irreechaa kabajuuf jecha ummanni Oromoo fi sabboontotiin hedduun waraana Agaazii fi Poolisoota sirna TPLFn hedduu dararamanii jiru, gariin qabsaawotaa fi dargaggoonni Oromoo bakka irreecha kabajatanii fi kabajuuf deemanitti reebamuun kanneen qaamaa hirdhatan hedduu dha. Warri hidhamanii hanga ammaa bakka buuteen isaanii wallaalalme dhibbootaa hedduu dha. 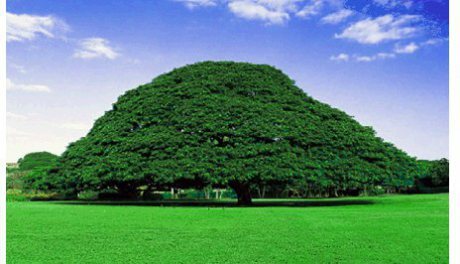 Kanas ta’ee gootonni Qeerroo Bilisummaa hiraarsa kora bittinneessaan osoo hin jilbeeffatiin ayyaana Irreechaa Oromiyaa bakkoota adda addaatti kabajamu sirna miidhagaan kabajachuun aadaa Oromoo aduunyaatti muldhisaa turan. 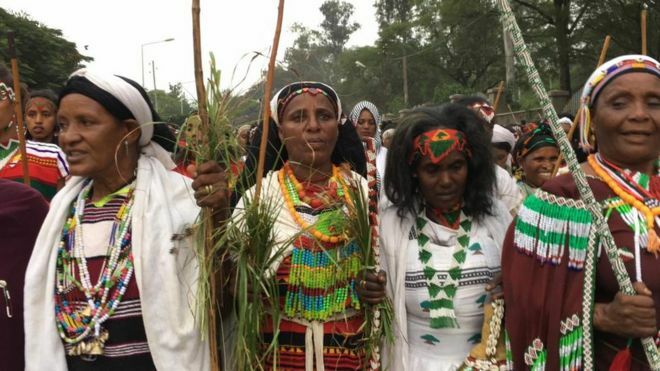 Haalleen dararaa fi gufaatii sirni Wayyaanee TPLF ummata keenya irraan gahu hunda keessa qaxaamuruun bu’aa gootota wareegamanii kan ta’e Ayyaana Irreechaa kana daran midhagsuu fi aduunyaatti muldhisuuf har’a sadarkaa UNESCO itti galmaa’aa jiraachuun qabsoo Oromootiif injifatnoo tokko. 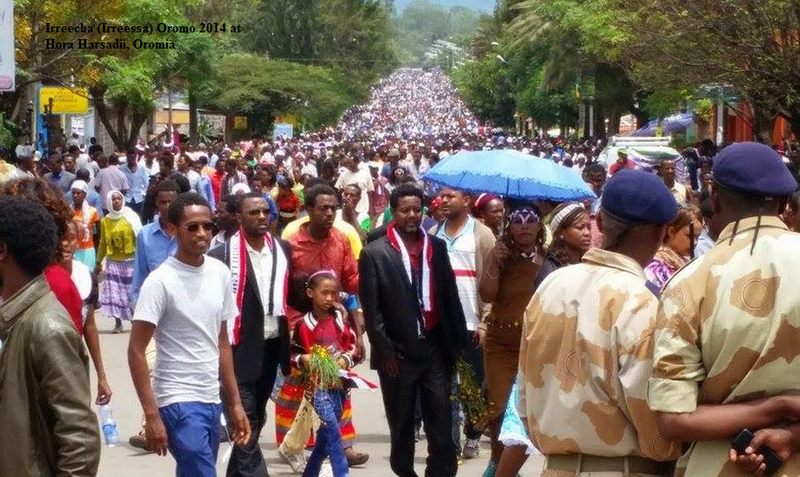 Haala kana keessatti Qeerroon Bilisummaa Oromoo Ayyaana Irreechaa Birraa kan baranaa 2016 Hora Arsadiitti kabajamuuf yeroo jiru kana keessatti, Oromiyaa fi ummanni Oromoo bulchiisa waraanaa yoomyyuu caalaa suukanneessaa kan ta’e jala galtee jirti. 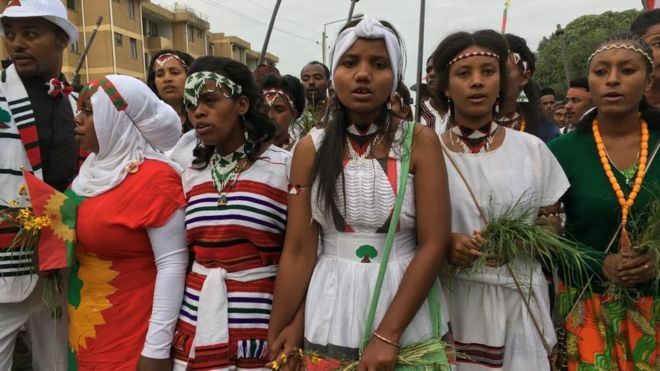 Ayyaanni guddaan saba Oromoo biratti jaallatamaa ta’e kun duula waraana TPLF Oromiyaa fi Oromoo irratti labse kana cabsuun ummata miliyoona hedduun kabajamuuf Oromoota biratti qophii guddaa irra jirama. 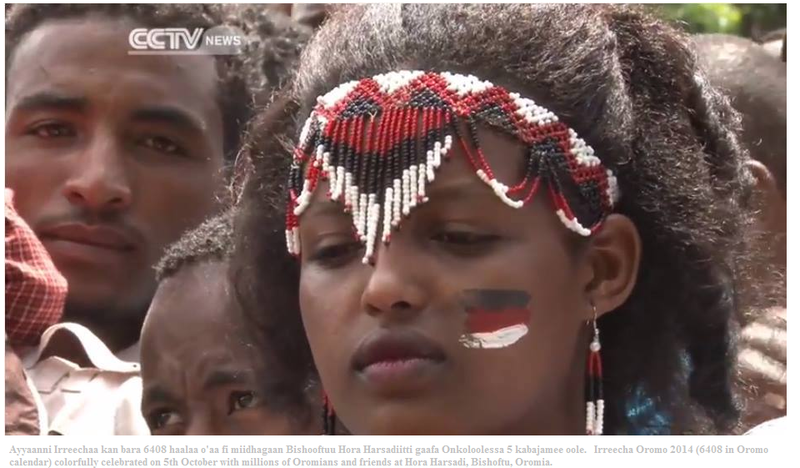 Bara kana ayyaanni Irreechaa kabajamu kun dhaadannoo ‘ Ayyaana Irreecha Guddicha Bu’aa Qabsoo Bilisummaa Oromoon Kan Argamee As Gahe Qabsoon Kunuunfanna”jedhuun kan kabajamuu waan ta’eef Qeerroon Bilisummaa Oromoo uummata isaa cufa waliin ta’uun ayyaana Irreecha 2016 kabajamu bifa adda ta’een kabajachuuf kan jirru ta’uu hubachisuun haala kabaja ayyaanaa Irreecha bara kana sadarkaa hundarratti kabajamu ilaalchisuun Qeerroon Bilisummaa Oromoo uummata Oromoo, sabootaa fi sabalammoota kabajaa fi jaalaala ayyaana irreechaa Oromoof qaban hundaaf Ibsa kanaa gadii dabarsee jira. Ayyaanii Irreecha birraa 2016 sadarkaa godinaaleetti waan itti fufuuf qabxiilee ibsa kana irratti taarrifaman bakka iyyuutti yaadachaa muuxannoo Hora Arsadiitti argattan irraa kabaja Ayyaana Irreechaa godinaalee irrattis bifa ho’aa, naamusa ol aanaan fi qindaa’aan akka kabajamu waltaanee gamtaan kan irratti hojjennu ta’uu dhaamsa keenyaa dabarsina.